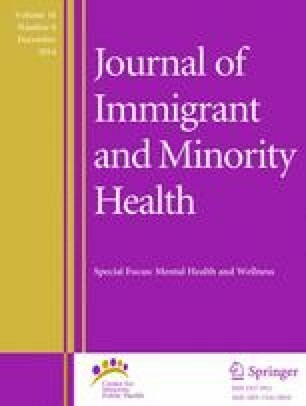 Significant disparities exist in both access to and quality of mental health care for Latino Americans with depression compared to Caucasians, resulting in a greater burden of disability in this underserved population. Our aim is to evaluate participant acceptability of a Culturally Focused Psychiatric (CFP) consultation program for depressed Latino Americans. Latino American adult primary care patients endorsing depressive symptoms on a screening questionnaire were targeted in their primary care clinic. The intervention addressed participants’ depressive symptoms using culturally adapted clinical assessments and toolkits. Acceptability was evaluated using a treatment satisfaction scale and in-depth semi-structured interviews. Overall, 85 % of participants responded positively to all questions of the satisfaction scale. In in-depth interviews, the vast majority of participants reported the program met expectations, all stated providers were culturally sensitive, and most stated recommendations were culturally sensitive. The CFP program was found to be acceptable to a group of depressed Latino American primary care patients. Further research is needed to evaluate if the CFP intervention can improve depressive symptoms and outcomes. This manuscript details a novel intervention found to be very acceptable to a group of Latino American patients with depression; it also provides key insights into a largely monolingual Spanish-speaking immigrant Latino American patient population in an urban primary care setting. The authors would like to thank the professional and support staff at the participating sites for their commitment and participation in the study: MGH Charlestown Healthcare Center, MGH Chelsea Healthcare Center, MGH Internal Medicine Associates, and MGH Revere Healthcare Center. The authors would also like to thank Drs. Joseph Betancourt and Alexander Green from the MGH Disparities Solutions Center for their contributions to the conception and design of the study, Jennifer Riconda and the MGH Development Office for their support of the grant, Dr. Jerrold Rosenbaum the chief of the MGH Department of Psychiatry for his support of the study, Dr. Susan Regan for her statistical support of the study, and Soo Jeong Yoon and Jenny Man for their technical assistance in the study. This manuscript was made possible through the support of the Robert Wood Johnson Foundation’s program, ‘Finding Answers: Disparities Research for Change’ (RWJF grant number 66709); Harvard Medical School’s Center of Excellence Health Disparities Post Graduate Fellowship (HDPG); Disparities Mentorship and Professional Support (D-MaPS) Enrichment Award from the Harvard Catalyst Health Disparities Research Program; and the MGH Department of Psychiatry. Mental Health: Culture, Race, and Ethnicity. US Department of Health and Human Services. 2001. Available at http://www.ncbi.nlm.nih.gov/books/NBK44243/. Hansen MC, Cabassa LJ. Pathways to depression care: help-seeking experiences of low-income Latinos with diabetes and depression. J Immigr Minor Health. 2012. Available at http://www.springerlink.com/content/g8n07820k4vxmv56/. Barrett JE, Dietrich AJ, Eisenberg L, et al. Depression management toolkit. The MacArthur initiative on depression and primary care. 2009. Available at http://www.depression-primarycare.org/images/pdf/macarthur_toolkit.pdf.